It can be incredibly overwhelming, not to mention a tremendous investment of time, to sign up for and run a number of individual affiliate programs from a number of independent vendors and advertisers. This means that you would need to sign into multiple websites, orient yourself with multiple affiliate dashboards, and manage multiple payment thresholds. It makes a lot more sense to collect all your efforts and choose an affiliate network instead. When you work with a good affiliate marketing network, you gain access to several different advertisers across a range of different industry verticals, all from a single interface with a single company paying you commission. This saves you a tremendous amount of time and energy, because you can see all of your statistics and analytical data from a single source too. It also means that you’ll have an easier time achieving the payment thresholds, as your commissions are also gathered together into one account balance. But how can you know how to choose the affiliate network that works best for you? There are several factors that can come into play. Thanks to the nature of the Internet, affiliates from practically anywhere in the world have access to the international market. A publisher based in France can run affiliate programs in New Zealand, just as much as an affiliate in the United States can promote affiliate offers geared toward traffic from England. To give yourself the greatest opportunity for success, you will want to choose an affiliate network with an international mindset. This opens up the largest possible audience for you, so that you can narrow down into the niche and traffic type of your choosing. As a publisher, it is a good idea to do some research on the types of offers and eligible traffic available with any given affiliate network. It is incredibly helpful when you can “preview” the offer inventory, because you can get a good sense of which offers may appeal to you for whatever reason. 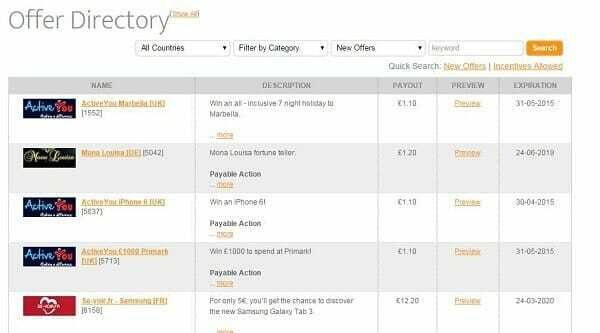 You can look at the payouts, the landing pages, the eligible countries and more. Affiliate networks that open up this information to the public are inherently more transparent and open to discussion with potential and current affiliates. And this leads to perhaps one of the most important factors in choosing an affiliate network to work with: affiliate managers. While some more advanced affiliates prefer to work in a full independent manner, novice and intermediate affiliates can benefit greatly by cooperating with a dedicated account manager. They can work together to maximize earning potential both in terms of traffic and conversion. Even more advanced affiliates can benefit, as there are always possibilities to improve too. At WOW Trk we have over 500 offers live on the network, a low minimum payout threshold of just £25 before you can receive payment and dedicated account managers to provide you support.